(By Esse Johnson, resident author and researcher at BeWellBuzz) With continued economic troubles, and amidst more and more evidence of the unhealthy risks of using unnatural, unheard of, and possibly toxic ingredients for skin and body care, many people are going back to basics. Baking soda is not only awesome for baking and house-cleaning, but can also be more effective than expensive acne and exfoliating treatments on the market. (It is for me!) 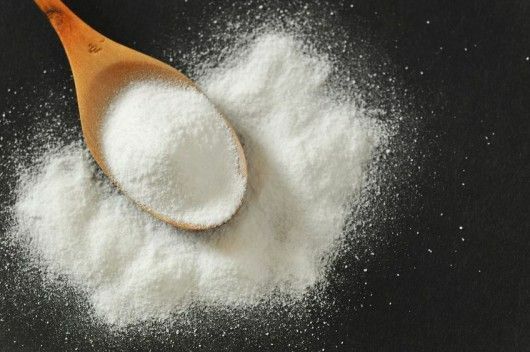 Read on to find out what baking soda is, how to know if it’s natural or synthetic, and how to use it safely on your skin and hair for amazing results. It may be a silly question for some, but for those of us who didn’t know, now you’ll know. Baking soda is sodium bicarbonate, or sodium hydrogen bicarbonate. It’s pH value is 9.0, making it alkaline. It’s used in cooking, cleaning and in toothpaste. Baking powder contains pure sodium bicarbonate, plus cream of tartar and a starch, often corn starch. If a recipe doesn’t involve a soda activator such as yogurt or lemon juice, it’ll call for the powder, which contains its own activator. Cream of tartar serves as the acid activator. Single-acting baking powder reacts quickly when moistened and must be baked as soon as it’s gently mixed. Double-acting baking powder buys you a little extra time. The reaction begins when it’s moistened, but it occurs again in oven heat. Bicarbonate leavening agents are quicker than yeast and work well with biscuits, muffins and cakes. Is Sodium Bicarbonate All-Natural? Raw? Sodium Bicarb is naturally occurring as nahcolite. Popular and generic brands such as Arm & Hammer use a synthetic form; Bob’s Red Mill mines the naturally forming nahcolite from mineral springs in Colorado. “Nahcolite commonly forms by reaction of carbon dioxide with the mineral trona in evaporated lake basins.” Both the synthetic and mined forms are the exact same chemical, NaHCO3 (hence, the name, NaHCOlite). The mining process involves heat, so it’s likely that neither form is raw (although either could be “raw material” in manufacturing). It’s believed that baking soda was mixed with oils to make a soap some 4,500 years ago in Egypt. The compound is mildly abrasive, drying, cleansing, removes and absorbs oils and body odor. Try some of these and let us know how it goes! Dampen a clean wash cloth and add a tsp. or less of baking soda; or, I like to splash a little water on my face, pour a small amount in my hand, rub hands together and gently apply all over face. You’ll need enough water to form a paste-like consistency. For extra exfoliation use your fingertips to softly massage over the skin surface. Rinse and thoroughly remove using a dampened wash cloth. This will effectively remove makeup and cleanse dirt, but is not for eye makeup removal (for that you can use a little olive oil on a cotton pad). Repeat if necessary. To replenish healthy acidity, follow with a swipe of a cotton pad doused with witch hazel, or a splash of fresh aloe vera juice. Try moisturizing with olive or coconut oil. Baking soda is one of my faves for a simple and effective, completely non-toxic acne mask. Pour a tablespoon (or so, as needed) into your hand. Add enough water to make it pasty and spread over face, avoiding eyes. If you have combination skin or are prone to over-drying, only treat the affected areas. Let it set for about 10 minutes. The soda will absorb oils and dehydrate blemishes. Then rinse and remove with a damp wash cloth. Follow with toner such as witch hazel or aloe vera juice. Moisturize if needed. It works in your fridge to absorb odors, but it works on you, too. Apply to a powder puff and dust over your body and underarms to absorb moisture and odor. Apply to your moistened toothbrush and gently scrub. Baking soda isn’t whitening but is an excellent scrubbing agent to remove plaque or any other buildup. Rinse thoroughly. Adding peroxide or a little salt deepens cleaning. To keep hair oils in check, absorb odor, remove dirt and even some product buildup, take soda into your palm. Flip your hair over the sink or tub. Apply through hair as evenly as you can, not touching the scalp or you’ll have a hard time getting it off without wetting. Flip back gently. If you go to hard and fast you might find a white powdery splat on the wall behind you. Comb through until the powdery white disappears. BeWellBuzz recommends Bob’s Red Mill Baking Soda. See the end of this post for where you can purchase this product on-line at discount prices. PERSONAL NOTE: I recommend Bob’s Red Mill, too. They make good quality products and I love supporting a company that operates on the principles it does. If you know anything about the Bob behind Bob’s Red Mill, then you know it would be great to have more people like him out there in the business world. And here’s a recipe from Michelle Schoffro Cook for toothpaste using baking soda you may want to try….. 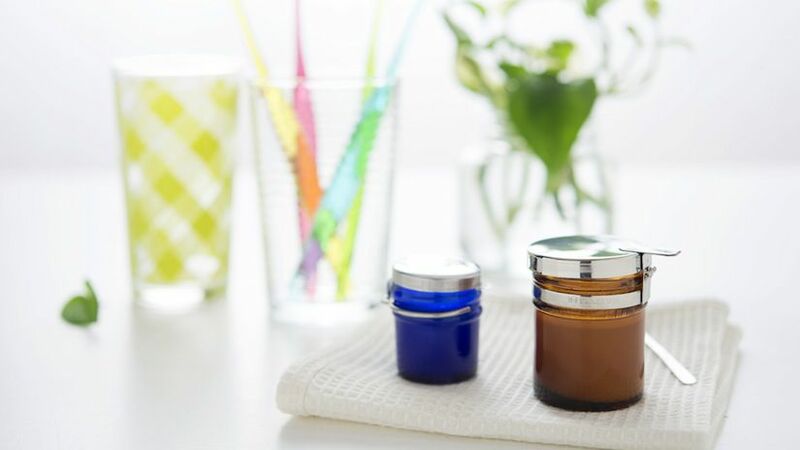 Mix all ingredients in a small jar with a lid, cover, and shake well to disperse oils throughout. Use a small amount on a damp toothbrush the way you would use toothpaste. The peppermint essential oil helps freshen breath, kill bacteria, and clear sinuses. The myrrh oil is highly antibacterial and anti-fungal. It is often used in the ancient healing arts of Ayurvedic Medicine. The baking soda restores a natural, slightly alkaline pH balance to the teeth and gums and helps to whiten teeth. And another version of baking soda-based all-natural toothpaste…. Mix all ingredients and store in an airtight container. Try this recipe for a toothpaste with a little extra bite. Worried about baking soda being too abrasive for your teeth? Read this post and you’ll see it’s better for you than all regular brands of toothpaste. FYI, you can get Bob’s Red Mill baking soda, essential oils, Himalayan crystal salt and vegetable glycerin at discount prices at Vitacost.com, one of my favorite on-line places. If you shop at Vitacost, sign up for a free account at eBates.com beforehand, if you don’t already have one. That way you can use the eBates portal to shop at Vitacost and earn cash back on your purchases. Plus, if you are new to Vitacost and spend a certain amount (I believe it’s $25), you will get a $10 coupon to use; eBates also gives a gift card or some other “prize” when you place your first order of $25 or more. How does it get any better than that?! iHerb.com is another good discount place to shop (use code CJG192 if you are a new customer and spend more than $40 and you will get $10 off and free shipping, plus can choose something from their free samples and take advantage of their wonderful trial offer section). And stay tuned for more on the many ways baking soda can be used as a self-help health aid! Lemon Verbena: Who Knew It Could Do All This? !